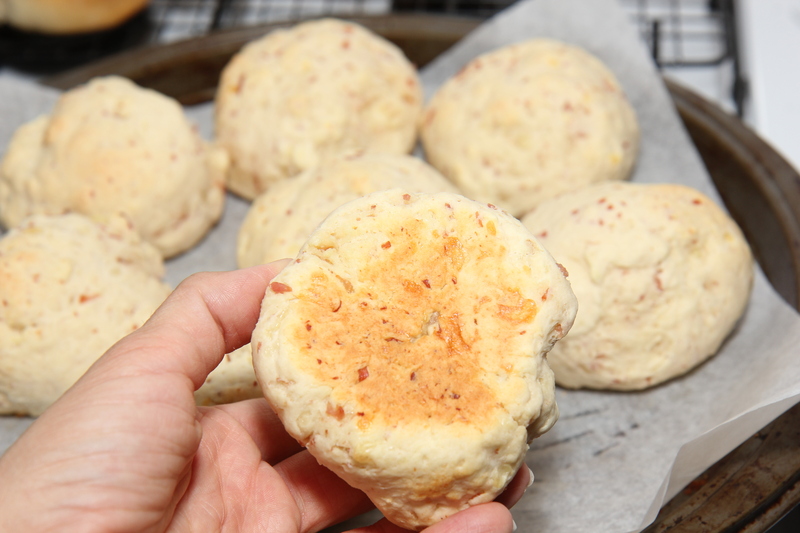 This recipe was my attempt at replicating something like the doughy bread rolls you can buy from major supermarkets and bakeries that have the cheese and bacon baked on top. They are a quick bread rather than a long rising yeast dough which makes for much simpler, speedy lunches. If you are leaving out the cheese or ham in either of these mixes, add in a pinch of salt. In a food processor, pulse together the flours, butter (or Nuttelex), milk, and baking powder (if required). 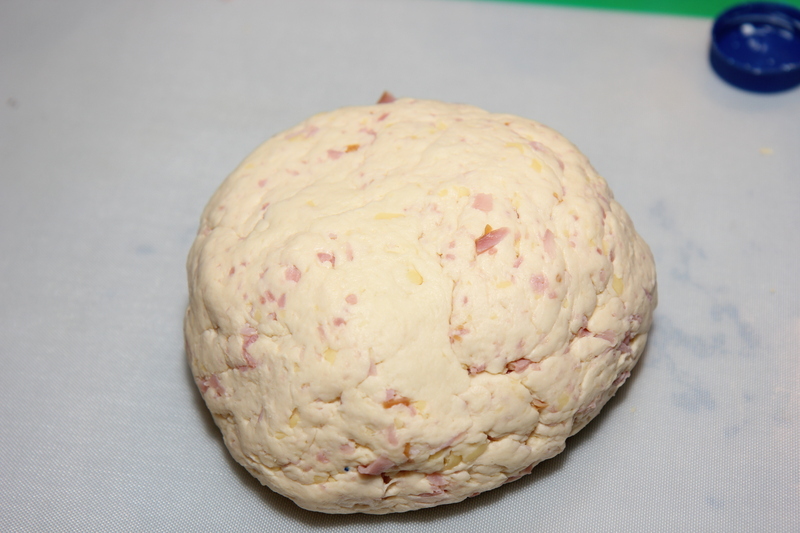 Process for about 20 seconds until a rough dough forms. Add in the cheese and ham and process again until well combined. For the vegetarian/vegan option, I omit the ham and add some chopped chives and some pepper. Tip dough onto a lightly floured surface and knead gently to bring together. 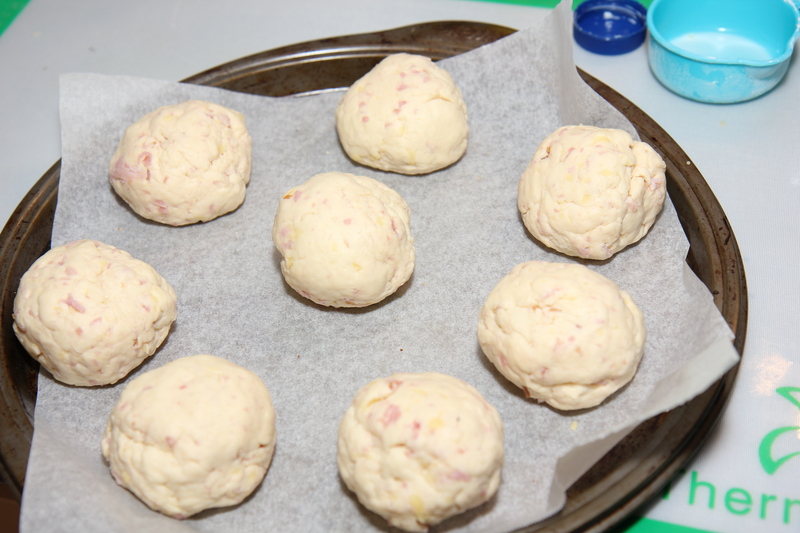 Break dough into 8 portions and form into a roll shape. To make these look more like the store bought ones I sometimes use only half of the cheese in the dough and reserve the rest with the ham and a smear of tomato paste for the top. Place on a lined baking tray and bake in a preheated 200C oven for about 15-20mins or until the bottoms are golden brown and sound hollow when tapped. Makes 8 rolls – and any left overs freeze and defrost well.